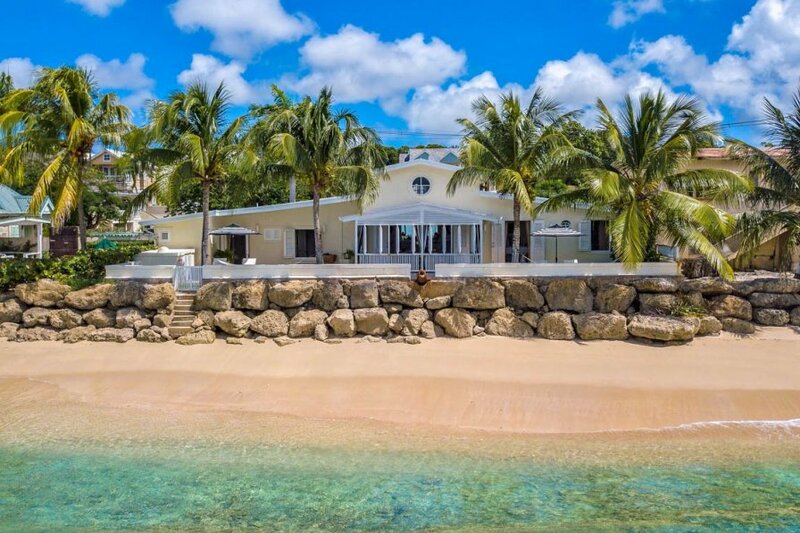 Around 3km north of Speightstown, the village of Shermans is the home of Little Good Harbour House, a stylish three-bedroom holiday home right by the beach. On Barbados' wonderful west coast. Around 3km north of Speightstown, the village of Shermans is the home of Little Good Harbour House, a stylish three-bedroom holiday home right by the beach. On Barbados' wonderful west coast, this cottage offers beachside living all on one level, with its own pool and terrace among the highlights. The sought-after location of this villa is close to the renowned Fish Pot restaurant, with its excellent seafood and sea views. A little further down the coast in the direction of Speightstown, you have the beautiful and quiet Heywoods Beach, a great place to swim and snorkel, and when you reach the town, many old buildings to see in this historically rich former port. Little Good Harbour House sits in a well-kept garden which surrounds the deck area, with its sun terrace and plunge pool. A covered seating area looks straight out on the Caribbean Sea, a truly incredible ocean view, and golden sands are just a few steps away from the house. A barbecue and outdoor dining area can also be found here. The house is made extra-secure with a gated entry system, and it is completely enclosed for your privacy. Inside, you have contemporary living spaces to enjoy, with lots of comfortable seating, flat screen television and eye-catching artworks lining the walls. A spacious kitchen offers a large fridge freezer, microwave, dishwasher and breakfast bar, and much more besides. All of the bedrooms enjoy uninterrupted sea views, with the master bedroom opening onto the garden, and one other bedroom opening onto the pool terrace. There are two twin rooms, ideal for children, as well as a king and queen – all of them with air-conditioning. The island's second-largest town, Speightstown, is within easy reach of the villa. Despite its size, it is quieter and slower-paced than Holetown or Bridgetown further south, and offers good shopping and dining. You can visit the region's premier art gallery, the Gallery of Caribbean Art, in the town known as ‘Little Bristol', and enjoy wonderful Bajan cuisine at the iconic Fisherman's Pub. Little Good Harbour House is a cute 3-bedroom villa, which is immediately on the beach at Smitons Bay.